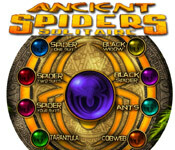 Ancient Spiders features an antiquated twist on the classic and much-loved game of Spider Solitaire. Solitaire aficionados and card game enthusiasts will delight in this unique version of the tried-and-true favorite.<BR><BR>The object is to remove all of the cards from the ten stacks in the fewest number of moves. Enjoy eight unique game modes, exotic jungle beats, and an in-game tutorial that allows players of all skill levels in on the fun! <BR><BR>Download this one-of-a-kind card game today and find out for yourself what makes it such a hit. In-game tutorial for extra help. 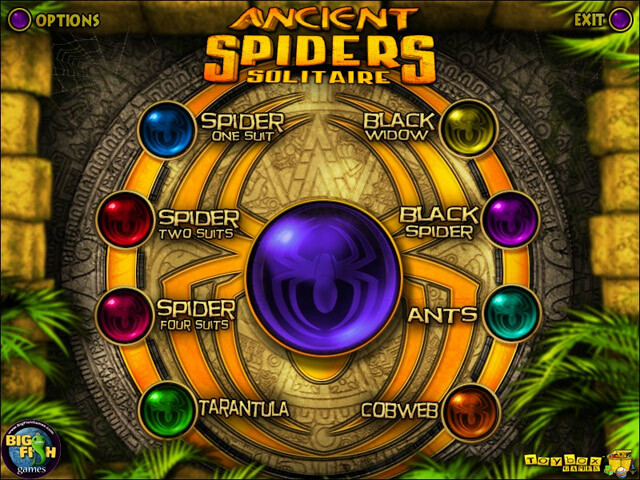 Ancient Spiders is rated 5.0 out of 5 by 1. 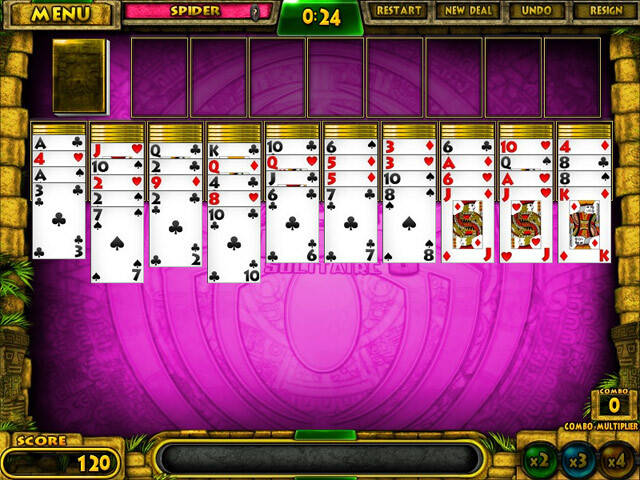 Remove all cards from the ten stacks in the fewest number of moves; an ancient twist on the classic, crowd-pleasing game of Spider Solitaire.